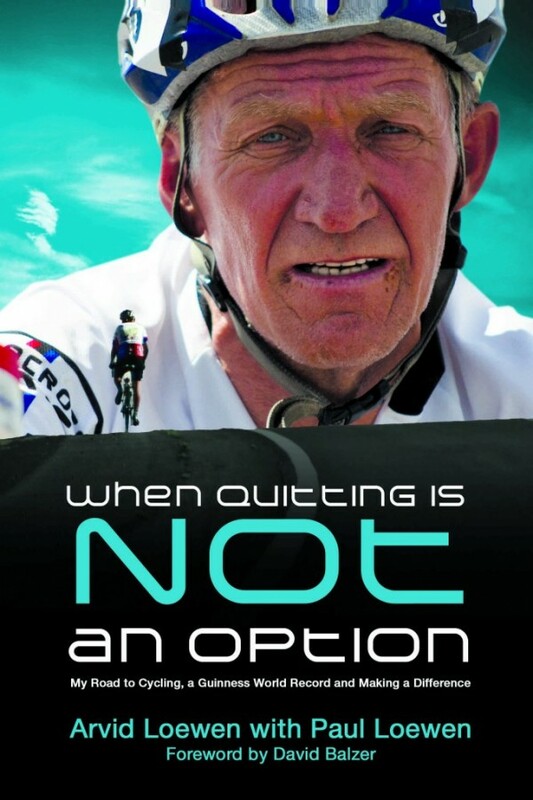 When Quitting Is Not An Option | Grandpas Can! Arvid’s story of failure, courage, disappointment, triumph and laughter-and a few life lessons along the way. Can I do this? I asked myself. I’d been repeating the same question for the last 24 hours. People seem to say, “It’s Arvid-of course he can do it.” If they knew how many times I struggled with self-doubt, with the question of whether I should bike another kilometre, they would never feel so confident. This was one of those times. Giving up now was, for me, symbolic of giving up on the kids at MCF. Many of them had been abandoned by parents, relatives and society, left to fend for themselves. God had never given up on them, and I was not going to quit a silly bike ride. I made up my mind: I will not give up. When Arvid set out on a 40 km bike ride only to give up after 30 km, his future as a cyclist seemed bleak. Yet, more than 15 years later, Arvid was racing alongside the world’s most elite ultra-marathon athletes. Shipping anywhere in the world included. Books ordered from this site are signed by the authors. Hi – not everyone is brilliant – some (me for one) need help nearly every day. Like you, I ‘lurked’ for ages before summoning the courage to write a comment. Everyone here is fantastically welcoming and helpful. As far as 20d is concerned it’s somewhere someone might tell you to keep it if they were telling you a secret, as in ” but keep it up your &#28;03…”. I had never heard of today’s meaning but it is in the dictionary. Good luck!